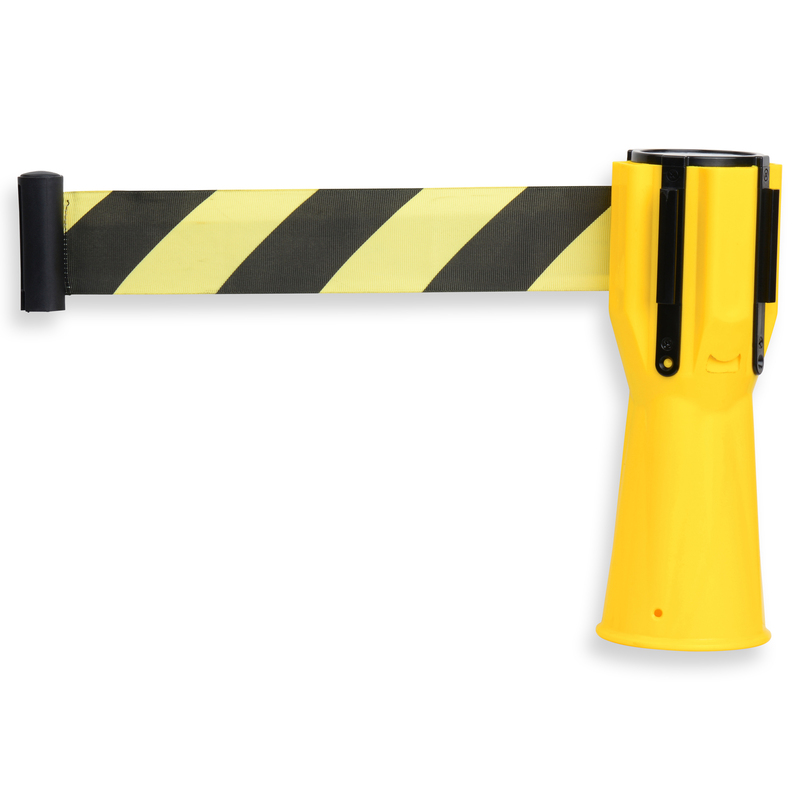 Retractable black and yellow belt is housed in Cone Topper and extends up to 9 ft, creating an easy-to-see barrier. The cone toppers fit directly over cone tops. To permanently affix toppers to cones screw holes and locking screw are included. Each cone topper has 3 anchor points in which to receive a belt from another cone topper.